The official UK body and international consultancy for Rebound Therapy. Responsible for the development and delivery of accredited and approved staff training courses. Sensafloat is a unique water support aid, designed to facilitate relaxation and movement in water. It has applications for children and adults across the whole spectrum of special needs. Winner of the 1993 Toshiba / CBI Invention of the Year award. Invented by Eddy Anderson, founder of Rebound Therapy. 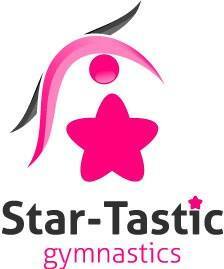 Winstrada The recreational and therapeutic gymnastic and trampolining association. and all levels of gymnastics and trampolining from special needs to fairly advanced. Big Game Hunters - A wide variety of garden trampolines available from the play specialists. The complete guide to everything accessible. We are the fastest growing resource for everything wheelchair accessible and for thoese with reduced mobility. Covering everything from wheelchair access vehicles to through floor lifts and beyond! Health and Fitness Education (HFE) one of the UK's leading training providers delivering an award winning personal trainer course and a range of health and fitness industry qualifications. Trampolining Online A new concept in sports website design specifically for trampolining coaches and competitiors. anti-gravity Trampolining and Gymnastics club.